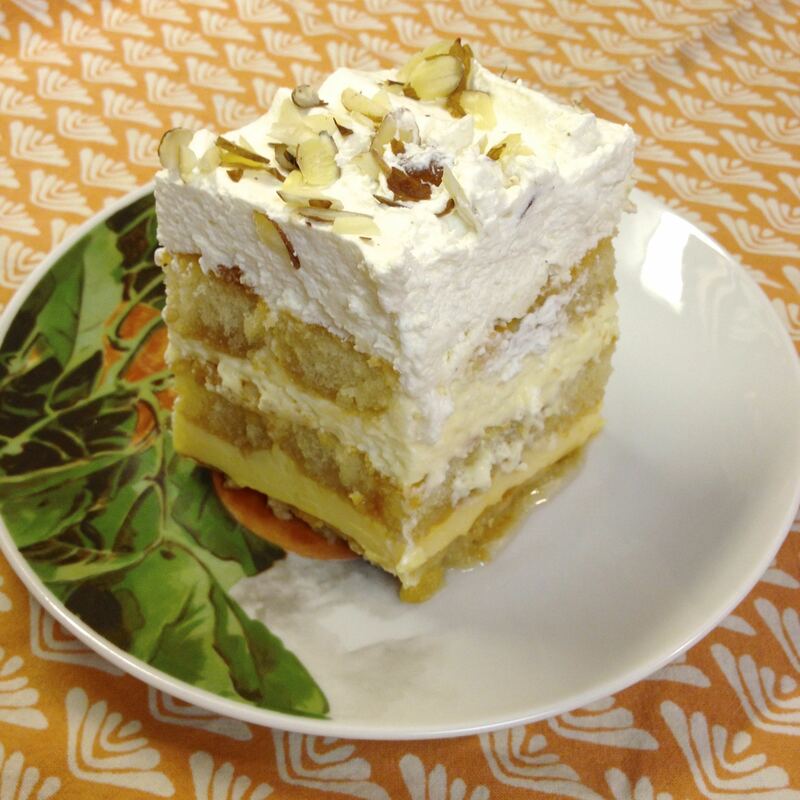 Here I’ve taken the basics of tiramisu making, and used them to create a worthy version of trifle. I have always loved making trifle, from baking the sponge, to making the custard, but sometimes there just isn’t time! So make your family happy while keeping your sanity intact, and use this to complete your holiday feast. 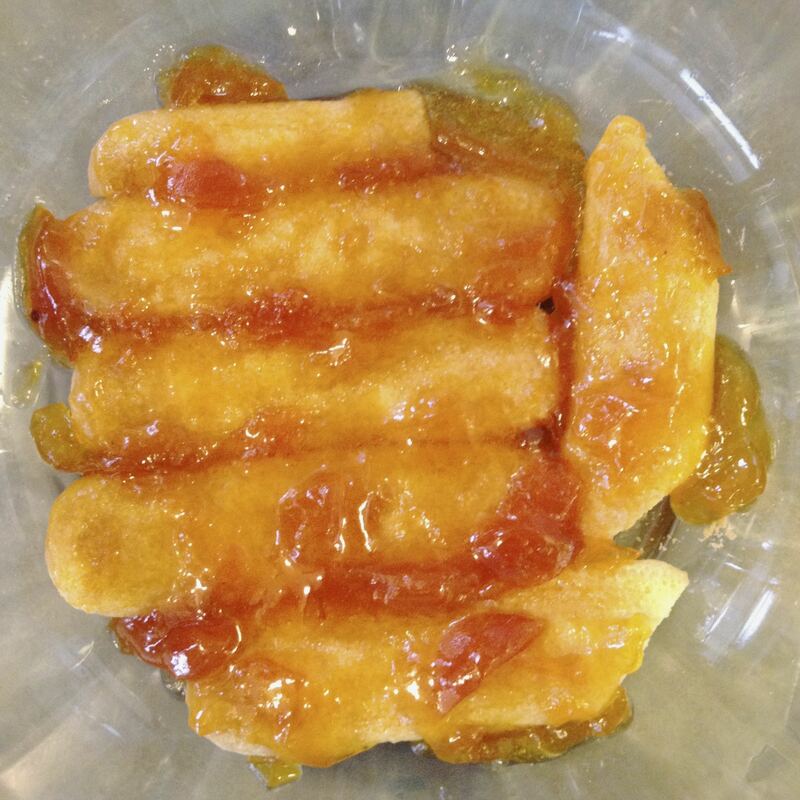 To start, thin the apricot preserves by heating gently (use 50% power if using a microwave), heat just until thinned. Do not boil. Do not strain. 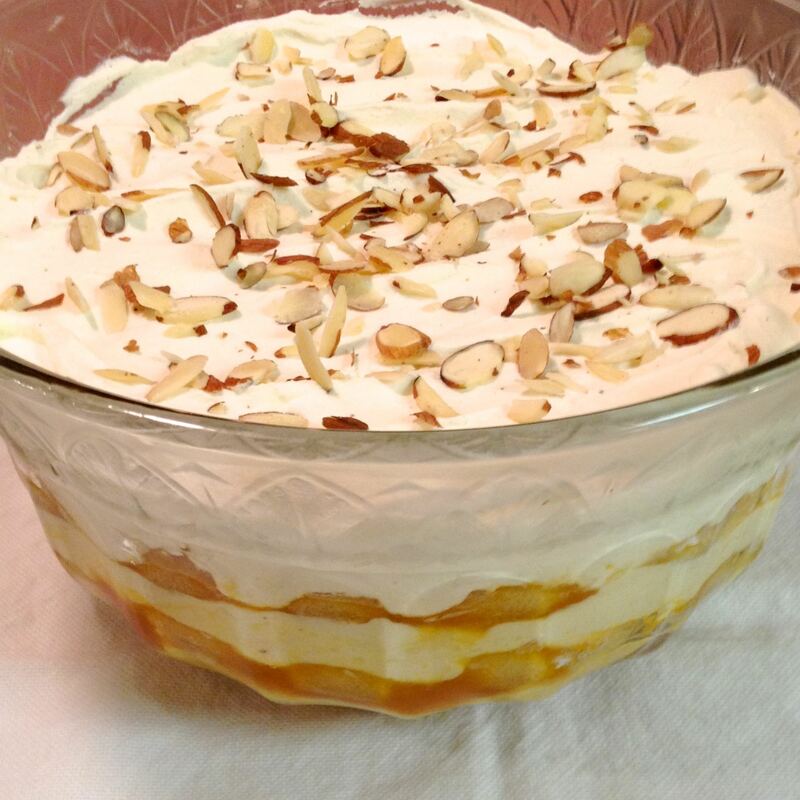 In the bottom of the trifle bowl, arrange some of the savoiardi, cutting to fit. Mix ½ c of the apricot preserves with 1 T of Grand Marnier. Spread gently over the savoiardi. Spread 2 cups of the custard over the apricot layer, right up to the wall of the bowl. Arrange another layer of the savoiardi, again cutting to fit. 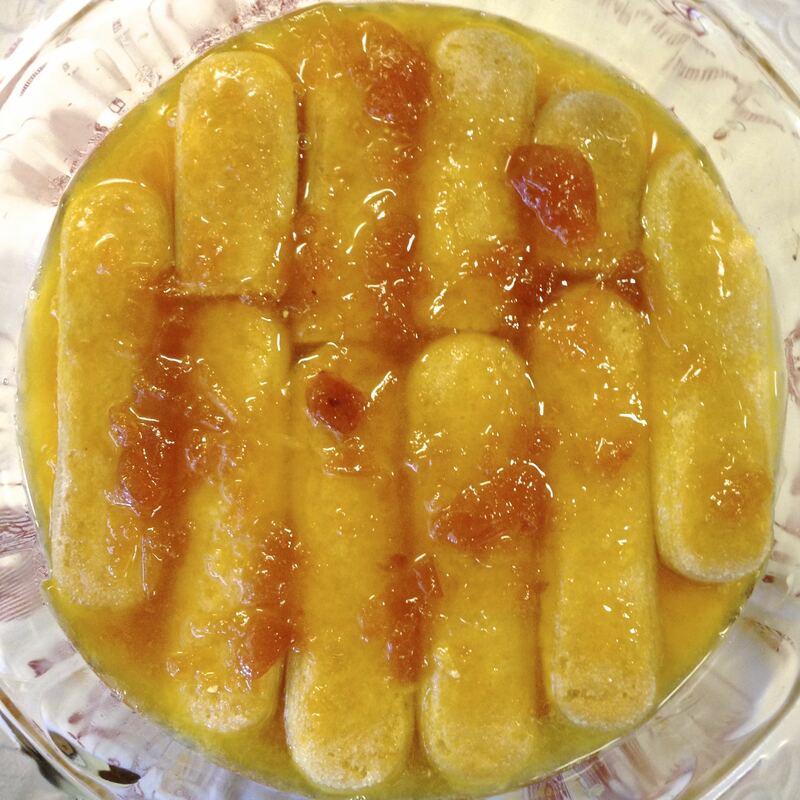 Mix the remaining ½ c of thinned apricot preserves with the remaining ¼ c of Grand Marnier, and the ½ c of orange juice. Spread half of this mixture over the savoiardi layer. Whip the cream; adding in the sugar, nutmeg and vanilla as it starts to thicken. Whip until it forms firm peaks. Spoon one third of the whipped cream into a medium bowl. Fold in the remaining 1 cup of custard. 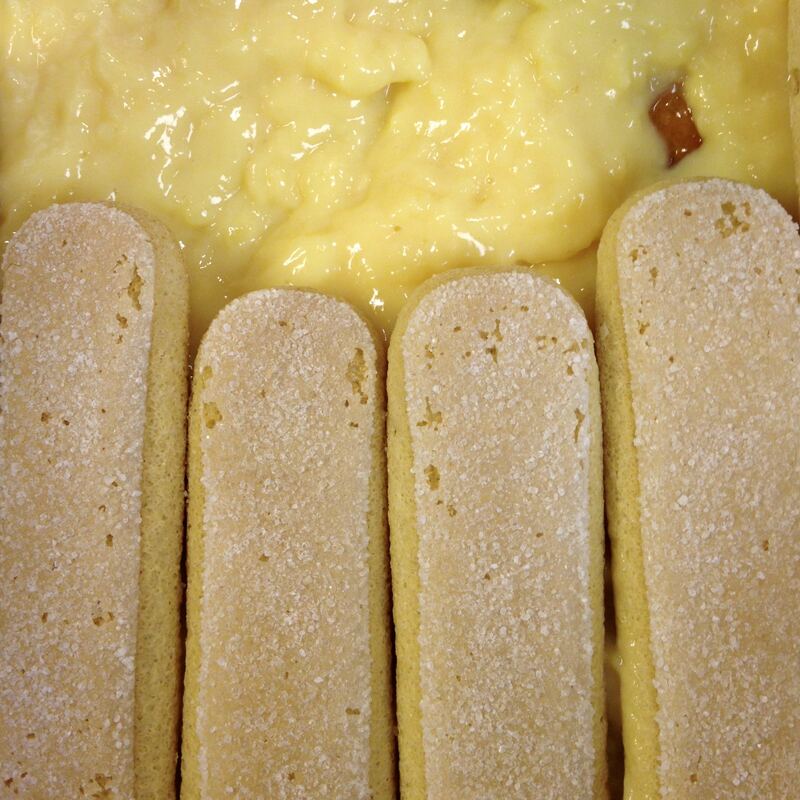 Spread this cream & custard mixture on top of the apricot, liqueur & juice covered savoiardi. 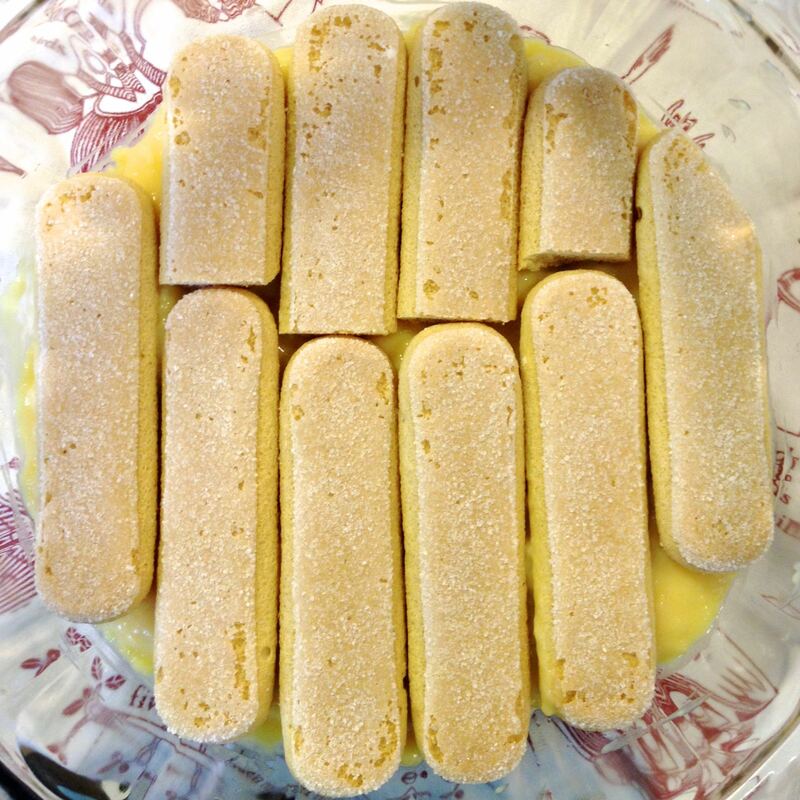 Arrange another layer of savoiardi on top of the cream & custard layer, again cutting to fit. Spread the remaining apricot, liqueur & juice mixture on this last savoiardi layer. 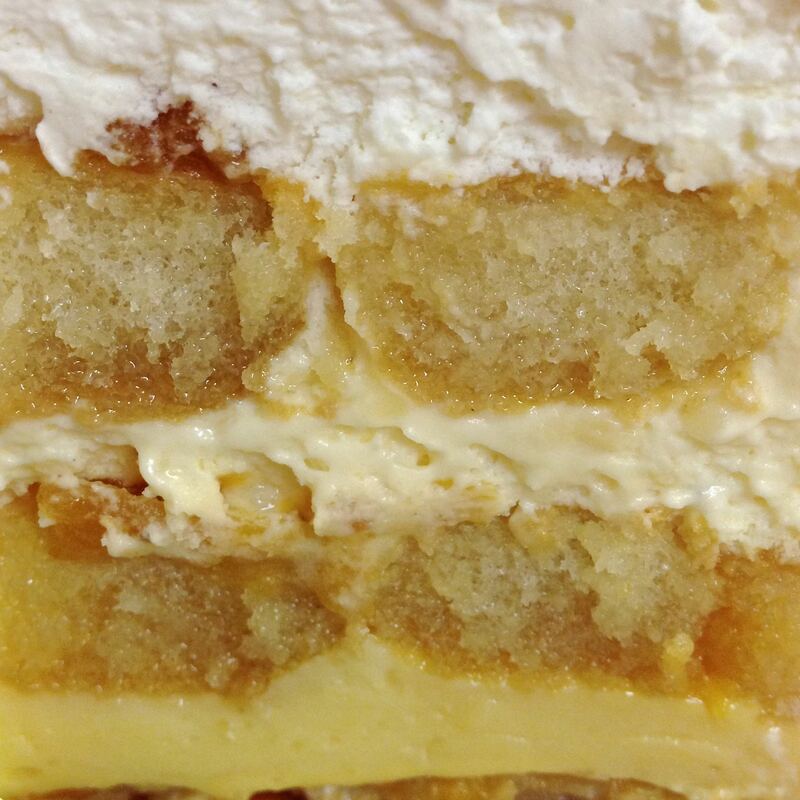 Spread the remainder of the whipped cream on top of this last layer. Cover the bowl with plastic wrap, and chill for 24 – 36 hours. To serve: sprinkle with toasted almonds, and serve deep spoonfuls onto plates. There’s something wonderful about scooping to the bottom of a bowl to get all the yumminess from the base. Custard: use a pudding recipe vs. a sauce recipe. 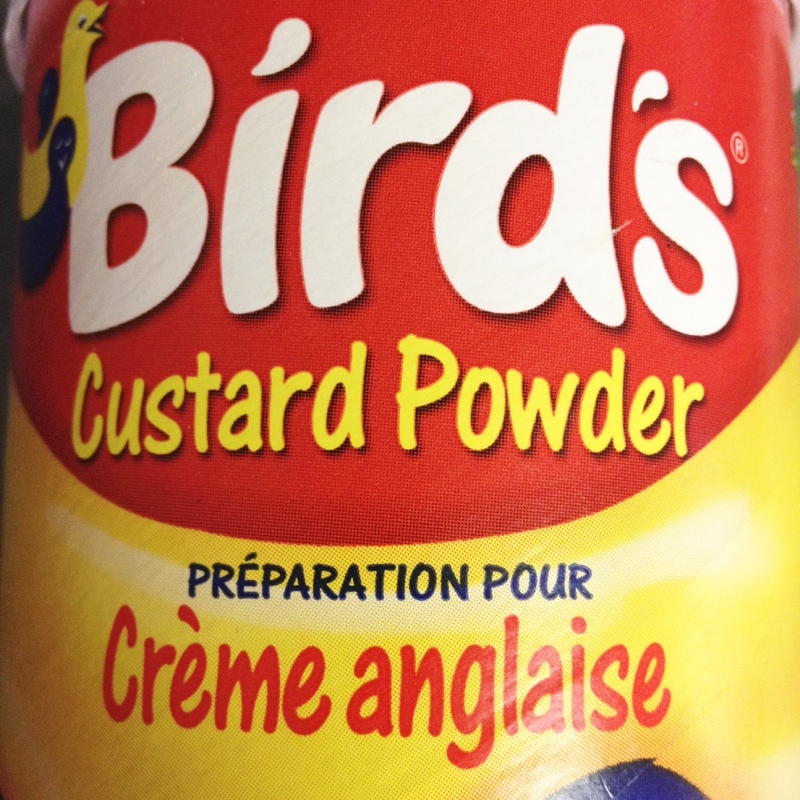 If short for time, I use Bird’s Custard powder with good results. Brandy can be used as a substitute for the Grand Marnier.